I didn’t read the premise of A Will of Iron before reading it so for me this book was a very positive surprise. What if Anne de Bourgh died a few days after the Hunsford proposal and Darcy along with Col. Fitzwilliam had to return to Rosings and into the company of Elizabeth Bennet? And what if Anne had lived an unimaginable life and had kept all the details of it in several journals? And what if these journals were to be read? Which would be the consequences? From the beginning of the book, the writing and the characters were so good I felt Pride and Prejudice had merely changed the scenario and Jane Austen’s story continued in Kent. Apart from that, the way the book is written is so entertaining I hardly noticed I had already read several chapters. Linda Beutler decided to integrate Anne’s diary entries in the story, so between the main tale that is occurring in 1812, we will read about past events in Anne’s life and those around her. For me this made the book very interesting, interactive, and captivating. It was something I hadn’t seen in a Pride and Prejudice fan fiction before. I loved Anne’s remarks, and even though Anne is not usually a character I pay much attention to, I really wanted to read more about her. She is so interesting in this book that I felt I didn’t even need to have many interactions between Darcy and Elizabeth. The book does have these interactions, and some of them even show us a deep understanding and bond between them, but Anne’s character and life were so fascinating I didn’t long for them as I usually do. The book was full of surprises for me as a reader. As I mentioned before it is really unusual and surprising for me to forget about Darcy and Elizabeth, but that was not even the biggest surprise! I don’t usually care much about humour in JAFF books. 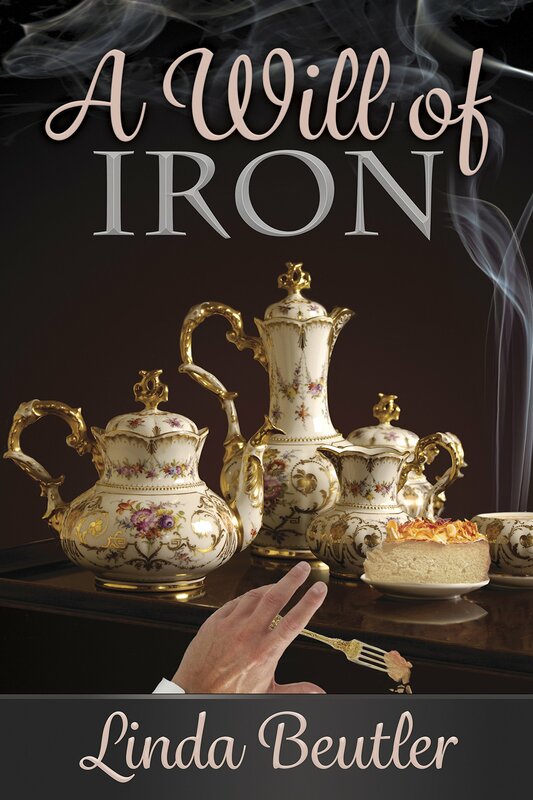 I enjoy it, of course, but I never take that into consideration when choosing a book to read, but A Will of Iron is truly amusing! I laughed out loud more times than I could count so I imagine that readers who do like and value humour in books will absolutely love and take pleasure with it. I really chuckled with Jane’s teasing of Mr. Bingley. I loved her teasing manner and even though this is a feature we associate with Lizzie, Jane did it in a most delightful way. I also laughed with the arrival of Mr. Bennet at Hunsford Parsonage. The entire scene is hilarious! This book has a great sense of humour and I loved it. Mr. Bingley’s letter is another amusing detail that made me enjoy the book, as well as reading how both Darcy and Elizabeth ponder on the characteristic of Jane and Bingley and how they would not look for those characteristics in their partner for life. I believe this made even clearer how Mr. Darcy’s disposition is indeed the perfect personality to match Elizabeth’s as they are truly perfect for one another. I wasn’t too fond of the idea of Darcy wanting Col. Fitzwilliam to court Elizabeth as I always prefer a version where Darcy cannot even imagine Elizabeth to be another man’s but it did not prevent me from enjoying the book immensely and I highly recommend it. Great review. I love this book. The storyline was so unexpected. Love the method of dealing with Lady Catherine. Please don’t enter me in the giveaway as I have this book along with Red Chrysanthemum and Longbourn to London – all great. Same as Glynis, I have all 3 of Linda’s great books. I just finished reading her latest and I can’t praise it enough. I greatly enjoyed Linda’s other novels but this was mind-blowing! A roller-coaster from start to finish, with amazing twist and turns, as exciting as they were unexpected. The best time I ever had at Rosings 😀 Add to that wonderfully romantic scenes between our favourite couple and you have one delightful story which I will read again and again with the greatest pleasure. Thanks for the great review, Rita, and thanks, Linda, for a wonderful book!